가룟 유다의 죽음을 둘러싼 많은 이야기가 있다. 예수 그리스도를 배신한 제자로 이후 양심의 가책을 느껴 목매어 자살한 제자. 성경은 그가 스스로 목을 매고 몸이 곤두박질하여 창자가 터져 죽었다고 기록하고 있다. 일반적으로 알려지길 유다가 나무에 목을 매자, 그가 달려있던 나뭇가지 혹은 밧줄은 예수님을 배신한 자가 매어져 연결되어 있음을 수치스러워하며 끊어졌다고 알려져 있다. There are many stories surrounding the death of Judas Iscariot, the disciple who betrayed Jesus Christ and later felt such remorse that he committed suicide by hanging. The Bible records of him hanging himself and also of him falling and his body bursting open. It’s generally concluded that Judas hung himself on a tree, and the branch or rope that was holding him snapped out of shame for being associated with the man who betrayed Jesus. 또한 서양박태기나무, 흔히 유다나무로 더 잘 알려진 나무에 관한 중세 전설이 있다. 전설에 의하면 이 나무는 한때 견고하고 늠름하게 자리 잡아 눈같이 하얀 아름다움으로 꽃피웠지만, 유다가 자신의 목을 맬 나무로 선택함으로써 수치스러운 붉은 핏빛으로 물들어 버렸다고 한다. 이 나무는 하나님께 간구하길 자신을 더 약하게 만들어 그 누구도 그것의 가지들에서 죄짓지 않게 해달라고 간구하였다. 현대 증거들에 의하면 서양박태기나무는 유다가 이용한 나무가 아닌 것으로 보이지만 이 전설은 만물이 창조주를 배반하는 자의 행위에 연루되는 것에 대하여 탄식한다는 예로 아직도 기독교인들에 의해 사용되고 있다. There’s also a medieval legend about the Mediterranean Redbud, more commonly known as the Judas tree. The story goes that this tree once stood strong and tall, with beautiful blossoms as white as snow that bled red from shame after Judas chose this tree to hang from. It asked God to make it weaker so that no one could ever sin from its branches again. Present evidence shows that the Mediterranean Redbud was most likely not the tree that Judas used, but this story is still commonly used by Christians to exemplify how much creation mourned its association with the one who betrayed their Creator. 나는 유다를 두고 울었다. 나는 그를 절망으로 몰고 간 자책과 회한에 대해 생각해보았고, 그것이 참으로 가련하여 눈물을 흘렸다. 시몬 베드로 같은 사람보다는 가룟 유다에게 더 동질감을 느꼈기 때문이다. 베드로, 경쟁심이 강하고 성급한, 또 충동적이고 완고했던 사람. 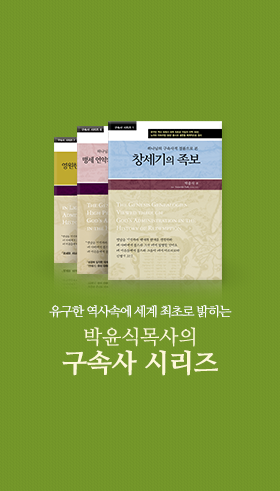 베드로는 심히 교만하여 자신이 예수님을 부인하는 것은 불가능한 일이라고 단언하였지만, 바로 얼마 있지 않아 세 번 부인하였다. 또한 베드로는 회한 가운데 비통하게 울었지만, 그는 자신을 그 회한 가운데서 끌고 나와 회개하고 예수님 앞에 다시 섰다. 나는 베드로가 부러웠다. 나는 베드로가 미웠다. 왜냐하면 우리가 다시 일어서는 것이 때로는 너무도 힘들기 때문이다. 때로는 슬픔의 안개가 너무 짙어 넘어 보지 못하고, 하나님의 사랑을 보지 못하게 하기 때문이다. 때로는 자신의 죄를 지나치지 못하여 십자가를 보지 못하기 때문이다. I cried for Judas. I would wonder about the guilt and remorse that drove him to despair, how pitiful it all was, and I would weep. Judas seemed more relatable than someone like Simon Peter. Peter, who was competitive and hotheaded and impulsive and stubborn. Peter, who so proudly and vehemently declared the impossibility of denying Jesus, only to do so three times shortly after. Peter, who also wept bitterly in despair… but then dragged himself out of that despair and repented, and stood before Jesus once again. I envied Peter. I hated Peter. Because sometimes the faults seem to never stop. Sometimes it’s just too hard to pick yourself back up. Sometimes the haze of sadness is too thick to see through, and it blinds you from the love of God. Sometimes you can’t look past your own sin to see the cross. 때로는 유다나무가 아름답게 보인다. 하지만 우리는 그러한 생각을 나누는 것에 대해 수치스러워한다. 교회에 와서 열심히 봉사하고 성실히 말씀을 받는 사람일수록 유다나무 유혹에 대해 시인하는 것이 더욱 쉽지 않다. 그 수치심은 우리를 할 수 있는 게 없다거나 그 누구와도 이야기할 수 없다는 생각 안에 가두게 된다. 그것은 베드로와 같은 일을 달성할 수 없다고 고백하기를 부끄러워하는 이들의 마음 깊은 곳에서 자라나는 아주 작은 씨앗이다. 그 씨앗은 우리가 이곳과 어울리지 않으며 어울릴 자격이 없다며 우리를 설득시키고, 그 작은 씨앗은 우리가 외톨이라며 거짓말을 한다. 마음속에서 자라나는 그러한 잘못된 생각들은 예수님이 우리를 위해 얼마나 열심히 싸우시는지 알면서도 우리를 포기하게 만든다. 세상에서 가장 무서운 느낌이다. Sometimes the Judas Tree just looks so beautiful. But we’re too ashamed to ever share those thoughts. So many of us come to church and work hard and diligently listen to the Word, which makes it more shameful to admit to the allure of the Judas Tree. That shame traps us into thinking that we can’t do anything or talk to anyone. It’s the smallest seed that grows in the deepest corners of the hearts of those too embarrassed to confess that they can’t pull a Peter. It convinces us that we don’t fit in, that we don’t deserve to fit in. It lies to us, telling us that we’re alone. It makes us give up, even when we’re aware how hard Jesus is fighting for us. It’s the most terrifying feeling in the world. 내가 얼마나 많은 이들을 유다나무로 몰아쳤을까. 나는 너무 많은 실수를 했고, 너무 많은 사람에게 상처를 주었으며, 나의 추악함은 아름다운 마음들까지 조각내버렸다. 무감각해져 버리거나 절망감에 빠진 사람에게 ‘시스템에 적응할 수 없는 사람은 그곳에 설 자리도 없다’고 나는 말하고 싶지 않다. 누구든지 고립되었다는 느낌을 받아서는 안 된다. 그런데 내가 그 고립의 원인이 되었을지도 모른다는 생각만으로도 너무 고통스러워서 견딜 수가 없다. 참으로 죄송하다. I wonder how many people that I myself have pushed closer to the Judas Tree. I’ve made so many mistakes, and I’ve hurt so many people. I’ve torn apart beautiful hearts because of the ugliness in mine. I don’t want to face someone who is so blind with either apathy or despair, and encourage the idea that if they can’t fit into the system, then they have no place in it. No one should ever feel isolated, and the thought that I could have been the cause of that isolation is too painful to bear. I am truly… so sorry. 나는 이런 나를 바꾸기 위해서 부단히 노력하고 있고, 천천히 앞으로 나아가고 있지만 완벽하게 거듭나기 위해서는 너무 오랜 시간이 걸릴 것 같다. I’m trying so hard to change, and I’m slowly moving ahead, but waiting for me to perfect myself will take too long. 하나님, 어찌 되었든 제발 저를 사용하여 주세요. 저에게 허물이 있어도 당신께 영광 돌릴 수 있도록 해주세요. 누군가의 유다 나무에 저를 데려다주세요. 그 길을 걷기로 한 사람들이 있다면, 제가 그들을 위해 거기에 있을 수 있게요. So please, God, please use me anyway. Let me glorify You even through my faults. Please take me to someone’s Judas Tree, so that should they choose to walk that path, I can be there for them. 당신께서 저를 위해 그렇게 많은 사람을 보냈던 것처럼 말이에요. Just like how You sent so many others for me. 왜냐하면 저는 나뭇가지가 부러지고 밧줄이 끊긴 것과 흰 꽃이 핏빛으로 물든 것, 나무가 시들어버린 이유를 유다가 은전 30으로 당신을 배신했다는 수치스러움 때문에 일어났다고 생각하지 않기 때문이에요. 당신을 팔아버린 유다가 당신에게 돌아가지 않았다는 사실, 그 최후의 배신에 대하여 만물이 탄식했기 때문에 그런 일이 일어났다고 믿어요. 부디, 제가 당신의 도구가 될 수 있게 해주세요. 혼자 기도하는 것이 어려운 이들에게, 베드로처럼 당신께 돌아가는 일이 어려운 이들에게, 진정한 교회 친구가 될 수 있도록 해주세요. Because I don’t believe that the branch snapped, or the rope tore, or the white blossoms bled, or the tree weakened, all because of the shame of Judas betraying You with 30 pieces of silver. I believe it happened because they mourned the fact that after betraying You, he chose to not turn back to You… the ultimate betrayal. So please, may I be Your tool, for those who find it too difficult to pray alone and turn back to You on their own like Peter. May I be a true church friend. "친구야, 여기로 오기까지 힘들었다는 거 알아. 그리고 돌아가는 게 불가능해 보일지도 몰라. 하지만 내 손을 잡고 같이 걷자. 삶이 힘들다고? 글쎄, 그건 맞는 것 같아. 더 이상 싸울 기운이 없다고 말하는 거니? 자신을 증오한다고? 다른 사람들을 싫어한다고? 자신이 끔찍한 사람이고 다른 방법은 없다고? 내가 절대 이해하지 못할 거라고? 그래, 그럴 수도 있겠지. 하지만 그거 아니? 완전히 다른 나무가 저기에 있어. 그리고 그 나무에 매달린 사람이 있지. 그분은 네가 매달리지 않아도 되도록 그곳에 대신 계셔. 그리고 그분은 너를 이해하기 때문에 그곳에 있고, 너에 대해 알아야 할 모든 것을 알고 여전히 너를 사랑해. 그분은 지금 너를 기다리고 있어. 네가 여기 있으면 그분이 슬플 거야. 그러니 어서 가자. 너는 너의 모든 허물을, 나도 나의 모든 허물을 가지고 함께 걷자. 우리 더 나은 사람이 되고, 함께 치유 받자. 자, 유다나무를 놔줘. 예수님의 나무가 훨씬 더 아름답잖아." “Hey buddy, I know it was hard getting here, and maybe the journey back seems impossible, but hold my hand and let’s walk together. What’s that? Life is hard? Well, you’re not wrong there… hmm? You’re saying you don’t have the energy to fight anymore? That you hate yourself? That you hate others? That you’re a terrible person? That there is no other way? That I will never understand? Yeah… maybe you’re right. But you know what? There’s a different tree some ways off, and there is a Man hanging from that tree so that you don’t have to hang here. And He’s there because He understands you. He knows everything there is to know about you and He still loves you. He’s waiting for you now. He’ll be sad if you stay here. So let’s go, you in all your terribleness, and me in all mine. Let’s walk together and be terrible together. Let’s improve together and heal together. Come on, let go of your Judas Tree. The Jesus Tree is much more beautiful anyway.